Last week I finished a tote bag which according to Ravelry I started in December last year. 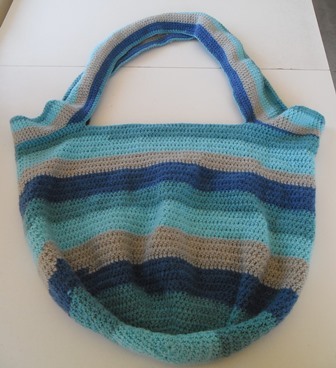 The pattern is based on the bag Lucy (Attic 24) has on her blog. I say based as me being me did things slightly different in some areas. That is the great thing about making your own things you can improvise and make things as you wish. 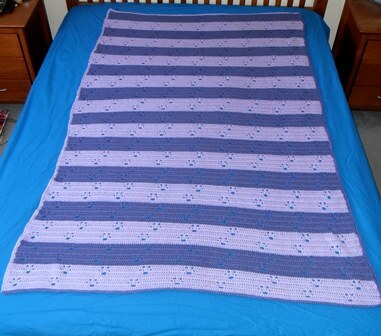 The yarn I used was 2 Lincraft cakes. Lincraft, if you are not familiar with it is a chain craft store in Australia. When Caron cakes became really popular a few years ago Lincraft brought out there own generic version. The yarn is dyed to allow colour changes within your project without the need for you to physically cut yarn and change colours. Fibre content is an acrylic / wool mix. I was given a Lincraft gift voucher by a friend so I purchased 2 cakes of Clear Sky and they sat in my stash for ages before I finally decided to crochet this bag. I love the colours, it looks great. The bag holds a lot. This size bag would make a great beach bag, project bag, shopping bag. It doesn’t look big when it is hanging but it is kind of like the TARDIS, much bigger on the inside. The pattern was really easy to follow and didn’t require a lot of thinking. I made my handles different to the pattern Lucy has. My handles are directly part of the bag and not joined on afterwards like Lucy has done. Also I haven’t done any flowers. The majority of the bag is done in UK trebles and from the part where I started making the handles upwards I have done in UK double crochet. Once the bag was the height I wanted I started doing a row of double crochet until I reached the area I wanted my handles to start then I chained a length of the stitches I wanted for the handles then joined them to the bag with a slip stitch. I then kept doing double crochet until I reached the other side of the bag and then repeated the set up for the other handle. Once I joined it to the bag I just double crocheted backwards and forward over the handle until it was the width I wanted. 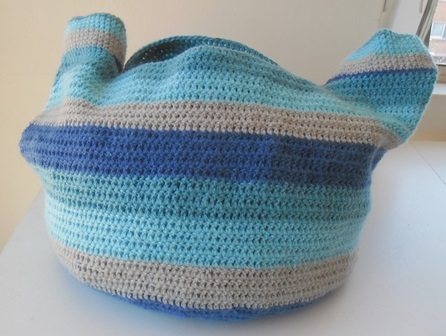 I then double crocheted back around until I got back the other handle and repeated the same steps. 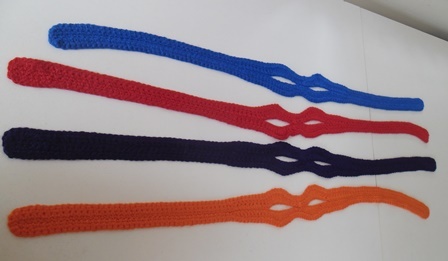 Once I was happy with the width I just kept doing row after row of double crochet going up and over the handles as if they were part of the regular row, The bit underneath the handles you never go over again. You can see it better in the picture below. I just kept doing row after row of double crochet until I rang out of yarn. Ok confession as much as I love this bag I am probably never going to use it. I just don’t like the feel of the yarn, I am really sensitive to yarn and for me the wool in this is too scratchy. I am glad I used it in a bag pattern and not a poncho like I first considered. I could use it as a project bag but to be honest I already have enough large ones. This will most likely be used as one of my charity bags next year. I’m not upset by that, I have so many memories of this bag making it. I started it the day I attended a medical appointment with Mr StitchNSew. I worked on it Christmas day whilst spending time with my nieces. In January I did a 4 day work training course where I had to stay in a hotel and this was one of the projects I took with me to work on in my downtime. When Mr StitchNSew had a medical procedure done and I had to sit in a hospital for 8 hours I worked on this, his nurse actually gave me the idea of how to do the handles. As crocheters do she came up to see what I was working on and told me how she does her handles. There are a lot of memories in the making of this bag but I don’t need to actually have the bag itself to keep those memories. For me it wasn’t a waste of time making this bag – I tried out a new yarn, I made a pattern that I had been wanting to make for along time, working on this calmed me in stressful situations because I was doing something I was comfortable with and could focus on. If I can pass on this bag on to someone who needs it then it was worth every stitch. It has been a while since I finished a project then jumped on here to blog about it straight away but I just had to with these water balloons. I started these water balloons back in January. This morning I weaved in the ends of the final balloons. 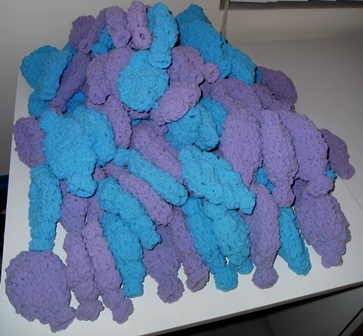 In total I got 123 balloons made from the 8 balls of chenille yarn I purchased. I will divide these up between 5 families with a total of 12 kids. My next task today will be to wrap these up in packs of 10 with some getting 11 and give them as Christmas gifts this year. The pattern for these can be found on Ravelry. When I first saw them I thought they would make wonderful gifts. To recap you don’t fill these up with water rather soak them in a bucket for a couple of minutes then toss them around. Once the water is gone from them pop them back in the bucket to be used again. If they get dirty you can pop them in the washing machine. I got a mixture of sizes made of the balloons. I must admit on some I may of missed a row or even added an extra row. It doesn’t matter as the kids won’t care. I also used a mixture of hook sizes 8mm and 9mm which made the sizes differ. Sometimes I would go weeks without making any and couldn’t remember which hook I used. Throughout the year I would just grab the yarn and start crocheting a few in front of the tv whenever I felt like it. I left the weaving in the ends until the end. I used a 4mm hook to weave them through then tucked in the final piece into the balloon. Again the ends didn’t take long to do, mindless tv work or listening to music. They are surprisingly quick to make. 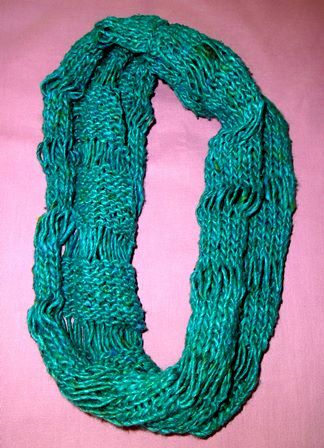 It was interesting working with this thick yarn for the first time. It is so soft and squishy. Working with the larger hooks was easy too. 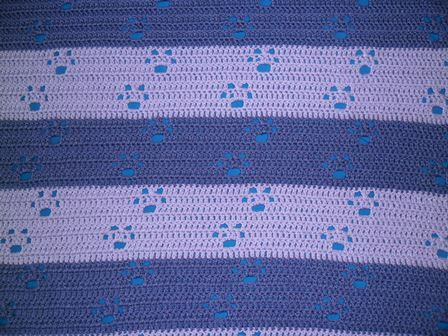 The yarn would be lovely to make into a blanket, it is very light so it wouldn’t be a heavy blanket. I am super pleased with these. They were an easy gift to make that took little time to make. This year has been a busy one for me so these were the ideal gift to make as you can give them to a child of any age to play with. My Christmas gift making isn’t over yet but this is a big chunk finished well ahead of time. 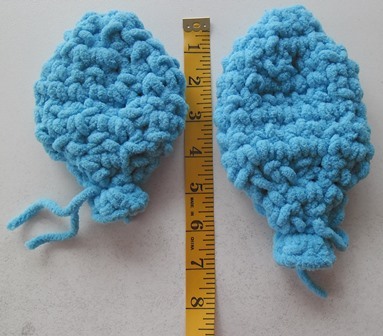 If you like to make gifts for kids and you can crochet I urge you to give these a try. I have a few links on the page already but this week I thought talk about the yarn shops I mentioned. They are located in the Sydney suburb of Dulwich Hill. If you can’t get to the store (and I strongly recommend that you do if you are ever in Sydney) They have a great website and the postage is pretty cheap. Skein Sisters have a lot of international brands as well as local indi designers. They are a good place in Australia to get yarns such as Sweet Geogria, Hedgehog Fibres, Legacy Fiber Artz brands that are from the US and can be expensive to order. Also sometimes you don’t know what a yarn feels like so if you go to Skein Sisters you can squish the yarn and get to feel if it is right for you. Skein Sisters also great thing they do in which each month called “Sisters Spotlight” where they focus on a particular indi designer usually from Australia or New Zealand and showcase their yarn for the month. It is a great way to discover new designers, the yarn is available both instore and online for the month. In addition to all the lovely yarn they sell they also run classes. 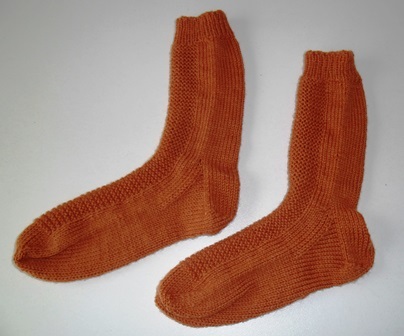 I learnt how to knit socks thanks to Skein Sisters. The classes are small with only about 10-12 people and are in a nice little cozy room. I have done a couple of classes now there and am actually going to another class next weekend. They are fun classes to go to and it doesn’t matter that you don’t know anyone there. You can sign up to their newsletter to find out specials and events that they are having. I have only ever purchased from them online or over the phone but they do have a shop located in Bendigo which I hear is fantastic. 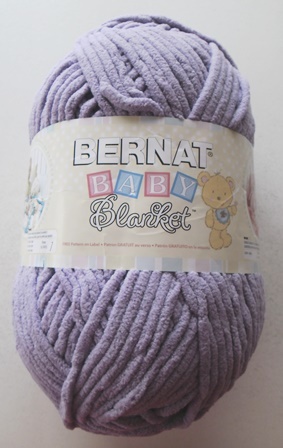 The best thing about BWM is that their yarn balls are 200g and the prices are great. I would call their yarn more traditional but there is nothing wrong with traditional. If you are wanting to make something in plain colours in either cotton or wool this is the place to go to. 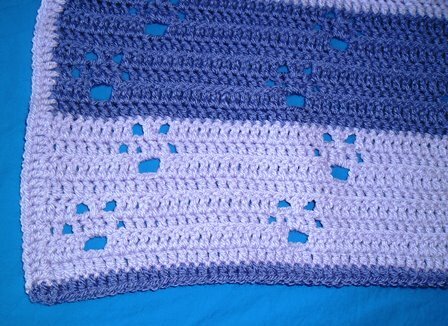 When I need to crochet up a blanket for a baby I order from them because they have a 100% wool yarn that is machine washable. All their yarn is very soft. I have many many balls in my stash and have made a lot of items from it. Their cotton is great for dishcloths but I have also used it in a shawl. My recent Magician’s Cape was yarn from BWM. They do have woollen blends so it isn’t just one fibre. The best thing about BWM is that you can request a shade card from them with a sample of all the different colour yarns. Once you are on their mailing list you get a shade card each time they have new yarns or specials. This is a little yarn shop located in the Western Sydney suburb of Penrith. It is a small cozy yarn shop packed with amazing yarn and accessories. The staff are super friendly and helpful. I have purchased a lot of yarn and knitting / crochet accessories from them. Thanks to this little shop I now have all the sizes of the Clover Amour hooks I like as well as my interchangeable needle set. Yarn wise they have a lot of local brands as well as international brands such as Noro and Madelinetosh and lots others. You walk into the shop and it like a candy cave as you don’t know what to squish first with all the glorious wool. I consider them my local yarn shop as it only takes me about 30mins on the train to get there (it gives me knitting time) They also hold classes and special guest events so it is worth checking out their website to see what is on. 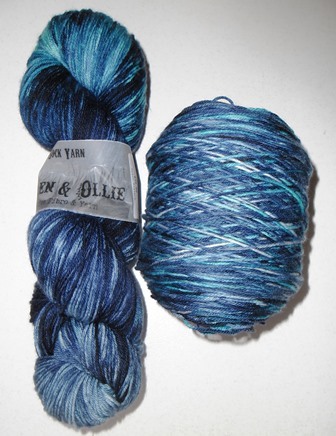 These are 2 online shops based in the UK that I buy yarn from, I always get the 2 mixed up and forget which one I brought stuff from. I buy all my Stylecraft yarn from them. The Wool Warehouse has a lot of kits put together by designers such as Attic 24. Sometimes it is nice to buy a kit with all the colours already put together for you buy the person who designed the pattern. 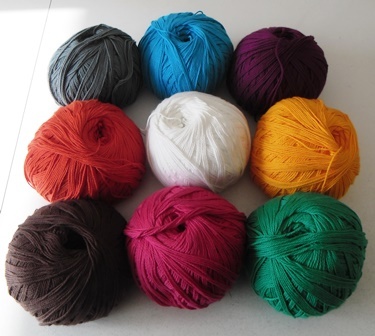 The kits are fairly cheap even with the conversion rate, postage is reasonable and super fast, I have received yarn quicker from the UK than I have from within Australia. Both websites often have specials so it good to sign up to their newsletters or follow them on Instagram to get discount codes. I know there are places in Australia I can buy Stylecraft yarn but these 2 websites have all the colours and different ply’s so it just a little bit easier to buy them from there. So these are my favourite yarn related places. If I discover anymore I will add them to the links page. 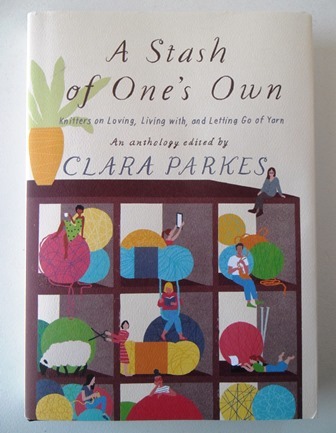 A Stash of One’s Own by Clara Parkes is a book that I will admit from the start if it wasn’t for seeing a few people on Instagram reading this book I would never have found it let alone been drawn to pick up and read. I was totally a book lemming on this one and in this instance I am glad that I was. When I first saw this book in people’s photos I thought it is just another yarn fictional romance novel. I have read a few like that but I lose interest quick in them as I can’t really read fictional stories (except Harry Potter) Don’t judge this book by the illustration on the front, read the words in the title, do a google search, go hold a copy in local store and you will see it is a book of short non fictional stories or essays from various people sharing their account of what their “stash” is and what it means to them. On the back it lists the 22 people who have contributed stories to the book. 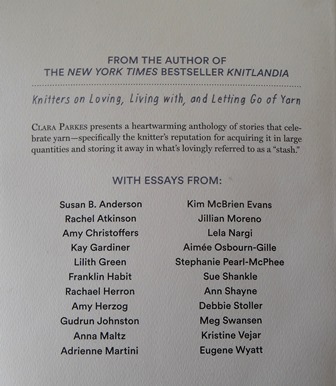 I don’t know many “famous” knitting names so there was only 2 that I recognised from the list but you don’t need to know who these people are to read their stories. It is the stories and not the persons themselves that makes this book wonderful. Each story is about 6-10 pages long (some shorter, some longer) It is fascinating reading everyone’s stories. Not everyone thinks of their stash in the same way. Some people are really emotional about their stash, some aren’t. Some people have really organised stashes, some have yarn stashed in the bathroom. Before I had even finished reading the Foreward I was already drawn into this book knowing once I had finished it there was no way I would be passing it on, this book is staying in my book stash. I am glad I didn’t actually borrow this book from a friend like I was considering when I was trying to decide if I needed to buy it or not. I haven’t even finished this book yet but I can already relate to little bits here and there from different stories after just reading a few. It is really comforting to read things and think you are not alone with the way you are dealing with things whether it be emotions or storage. The stories are the perfect length to read the book in small bites. If you wanted to you could sit down and read this in a day, I would say it would be a very emotional day so maybe have the tissues handy particularly if you find yourself relating to a lot of the more in depth parts of the human psyche. Unfortunately I don’t have any dedicated reading time at the moment so I have been reading 2-3 stories a day than putting the book down for a day or so and going back to it for another short read when I can. For me this works perfect as in this short periods I am reading I can really take the words in and reflect on aspects of my own life that relate. Don’t just think it is all depressing stories you will laugh so much as well. My favourite sentence so far “If Barbie and My Little Pony dropped acid” I would never have imagined I would ever read those words! Even though this book is centered around yarn stashes anyone who has any form of craft or hobby stash can relate to this book. Each time the term yarn is used insert your preferred craft term and it is just as relatable. When you get home, close the door and look around at your stuff and how you deal with it you discover from this book you are not alone. In this book real people with real stories share their experiences with their stash. I have always enjoyed reading autobiographies and have always believed that everyone has a story to tell they just need the opportunity to tell it. 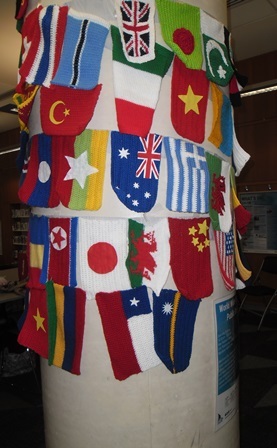 On June 9 was the annual event of World Wide Knit In Public Day. Now I can’t tell you the origins of how it started, who even thought of the idea or how long it has been going on for but for the last few years I have celebrated it in one form or another. 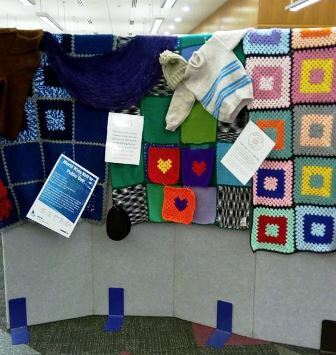 This year I took part in an event with my NSW Knitters Guild Group held at Blacktown library. We had a lovely turn out of people. 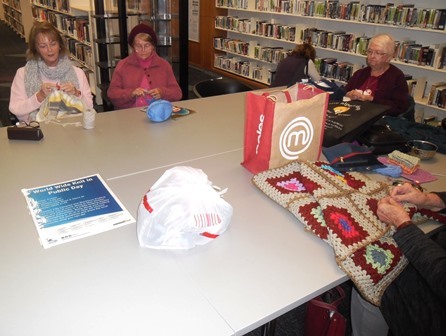 Between our group and some other people who regularly knit at the library we had about 30 people in total who were knitting and crocheting and one guy even making metal jewelry. For about 3 hours we all chatted, ate food (you can eat in a library!) drank coffee and got a little bit of work done on our projects. 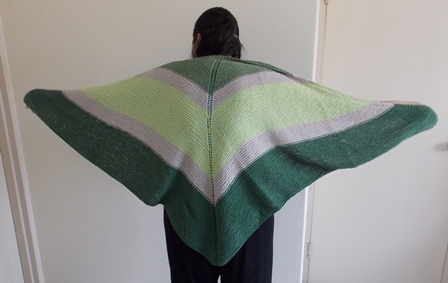 Some people were making gifts, some making charity items, I was working on shawl/poncho that I haven’t blogged about yet. I ran into an old acquaintance and for the first time ever sat and knitted with her. It was really fun day. Even if you didn’t know all the people there you could easily walk up and chat to anyone as we are yarn people you have that bond in common. Over the last few months many of us contributed to a display of flags that was hung around a pole just beside where we were sitting. Even my dodgy little Welsh flag was up there proudly. The display looked great, everyone did such an amazing job. To be honest I am not a fan of yarn bombing but this looked really good. Now if you are like me public knitting is not just something that happens one day a year. If I know I have to wait anywhere I will always take some sort of yarn project with me, even if I go to the pub for a few hours for lunch I take my knitting. Confession in the past I have organised my knitting project before calling an ambulance for Mr StitchNSew (it wasn’t a life threatening emergency) If I know I have to sit I want to keep myself occupied. Recently whilst we were away we went to go and take photos of the sunrise so I took my knitting as I knew I had about 30 minutes to kill. 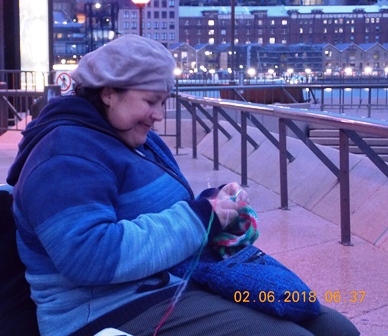 I sat by the Opera House knitting and watching the sunrise. It was a beautiful way to spend the morning. When I see people knitting and crocheting in public I have to resist the urge to run up to them and ask them what they are making. I have to control my craft craziness as that might just be a bit too weird for them. I personally don’t have a problem when people come up and approach me to talk yarn, I will happily chat to anyone who is interested. Donatello, Leonardo, Raphael, Michelangelo to some these might be famous artists but if you were a child of the 80’s these will always be the Ninja Turtles in your heart. Can you believe that the original movie came out 28 years ago this week back in 1990. I wanted to make a gift for Mr 4. I picked up some fabric in a swap day that was printed with Ninja Turtles thinking this is great boy fabric I can make a bag or something with it but I want something to go inside it. 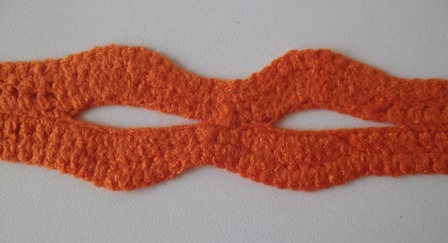 I remembered seeing on Ravelry a pattern for crocheted eye masks so I decided to give it ago. 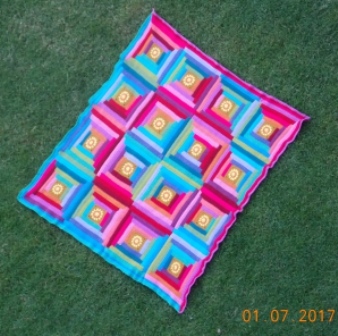 This pattern is very easy to make. It is written in US terms and only consists of 4 rows. It does require a bit of counting particularly in the eye section but I’m not a big fan of counting and had no trouble with it. You could easily whip up a set of these in a day if you wanted a last minute gift. One thing about this pattern is that you need to use 100% acrylic yarn. I used carnival acrylic 8ply, they have perfect Ninja Turtle colours! 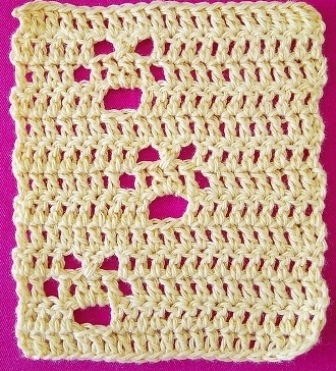 The reason it needs to be acrylic is because after you crochet these you need to “kill” your yarn. Moogly has a good tutorial on how to do this. Basically you melt the fibres together to make your stitches lie flat and it stiffens the piece. You do it between wet towels so not to ruin your iron. Don’t be scared to do this as it really does make a difference to the end result. You can make these for kids or adults. 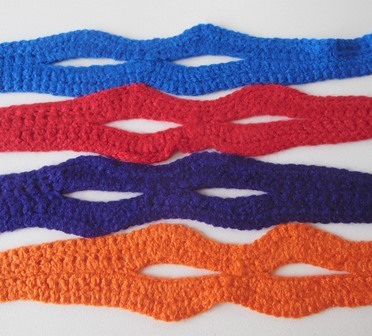 Don’t just think Ninja Turtles change the colours around and you could have Zoro or any other super hero (sorry I have limited super hero knowledge) I am thinking of making these in pink for my nieces for Christmas just because well why not.